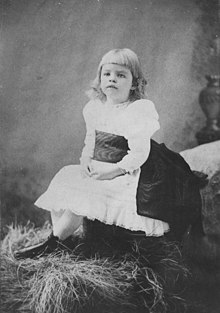 Roosevelt was a member of the prominent American Roosevelt and Livingston families and a niece of President Theodore Roosevelt. She had an unhappy childhood, having suffered the deaths of both parents and one of her brothers at a young age. At 15, she attended Allenwood Academy in London and was deeply influenced by its headmistress Marie Souvestre. 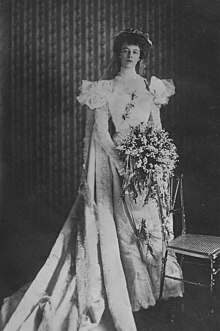 Returning to the U.S., she married her fifth cousin once removed, Franklin Delano Roosevelt, in 1905. 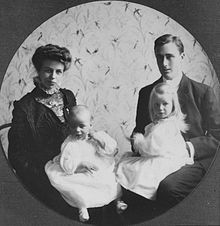 The Roosevelts' marriage was complicated from the beginning by Franklin's controlling mother, Sara, and after Eleanor discovered her husband's affair with Lucy Mercer in 1918, she resolved to seek fulfillment in leading a public life of her own. 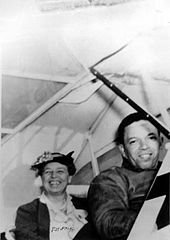 She persuaded Franklin to stay in politics after he was stricken with a paralytic illness in 1921, which cost him the normal use of his legs, and began giving speeches and appearing at campaign events in his place. 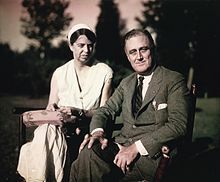 Following Franklin's election as Governor of New York in 1928, and throughout the remainder of Franklin's public career in government, Roosevelt regularly made public appearances on his behalf, and as First Lady, while her husband served as President, she significantly reshaped and redefined the role of First Lady. 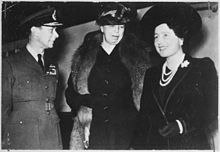 This proved a turning point in Roosevelt and Sara's long-running struggle, and as Eleanor's public role grew, she increasingly broke from Sara's control. Tensions between Sara and Roosevelt over her new political friends rose to the point that the family constructed a cottage at Val-Kill, in which Roosevelt and her guests lived when Franklin and the children were away from Hyde Park. Roosevelt herself named the place Val-Kill, loosely translated as "waterfall-stream"  from the Dutch language common to the original European settlers of the area. Franklin encouraged his wife to develop this property as a place where she could implement some of her ideas for work with winter jobs for rural workers and women. 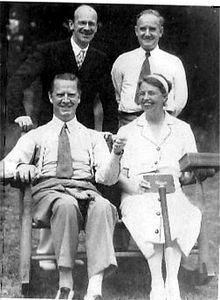 Each year, when Roosevelt held a picnic at Val-Kill for delinquent boys, her granddaughter Eleanor Roosevelt Seagraves assisted her. She was close to her grandmother throughout her life. 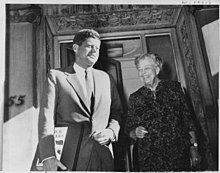 Seagraves concentrated her career as an educator and librarian on keeping alive many of the causes Roosevelt began and supported. In 1924, she campaigned for Democrat Alfred E. Smith in his successful re-election bid as governor of New York State against the Republican nominee and her first cousin Theodore Roosevelt, Jr.  Theodore never forgave Roosevelt. 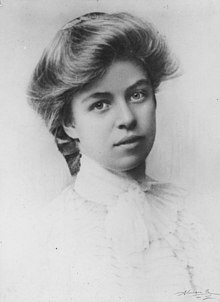 Her aunt, Anna "Bamie" Roosevelt, publicly broke with her after the election. She wrote of her niece to her son, "I just hate to see Eleanor let herself look as she does. Though never handsome, she always had to me a charming effect. Alas and alack, ever since politics have become her choicest interest, all her charm has disappeared!". [ citation needed] Roosevelt dismissed Bamie's criticisms by referring to her as an "aged woman". [ citation needed] However, Bamie and Roosevelt eventually reconciled. Roosevelt's son Elliott authored numerous books, including a mystery series in which his mother was the detective. However, these murder mysteries were researched and written by William Harrington. They continued until Harrington's death in 2000, ten years after Elliott's death. With James Brough, Elliot also wrote a highly personal book about his parents called The Roosevelts of Hyde Park: An Untold Story, in which he revealed details about the sexual lives of his parents, including his father's relationships with mistress Lucy Mercer and secretary Marguerite ("Missy") LeHand,  as well as graphic details surrounding the illness that crippled his father. Published in 1973, the biography also contains valuable insights into FDR's run for vice president, his rise to the governorship of New York, and his capture of the presidency in 1932, particularly with the help of Louis Howe. When Elliott published this book in 1973, Franklin Delano Roosevelt Jr. led the family's denunciation of him; the book was fiercely repudiated by all Elliot's siblings. Another of the siblings, James, published My Parents, a Differing View (with Bill Libby, 1976), which was written in part as a response to Elliot's book. A sequel to An Untold Story with James Brough, published in 1975 and titled A Rendezvous With Destiny, carried the Roosevelt saga to the end of World War II. 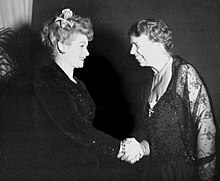 Mother R.: Eleanor Roosevelt's Untold Story, also with Brough, was published in 1977. 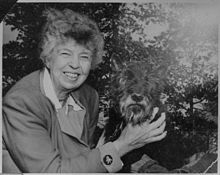 Eleanor Roosevelt, with Love: A Centenary Remembrance, came out in 1984. 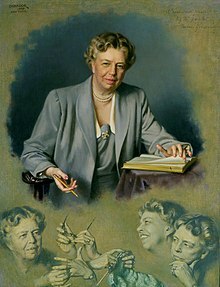 In 1937 she began writing her autobiography, all volumes of which were compiled into The Autobiography of Eleanor Roosevelt in 1961 ( Harper & Brothers, ISBN 0-306-80476-X). Roosevelt also made extensive use of radio. 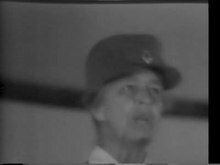 She was not the first First Lady to broadcast—her predecessor, Lou Henry Hoover, had done that already. But Hoover did not have a regular radio program, whereas Roosevelt did. She first broadcast her own programs of radio commentary beginning on July 9, 1934. On that first show, she talked about the effect of movies on children, the need for a censor who could make sure movies did not glorify crime and violence, and her opinion about the recent All-Star baseball game. She also read a commercial from a mattress company, which sponsored the broadcast. She said she would not accept any salary for being on the air, and that she would donate the amount ($3,000) to charity. Later that year, in November 1934, she broadcast a series of programs about children's education; it was heard on the CBS Radio Network. Sponsored by a typewriter company, Roosevelt once again donated the money, giving it to the American Friends Service Committee, to help with a school it operated. During 1934, Roosevelt set a record for the most times a First Lady had spoken on radio: she spoke as a guest on other people's programs, as well as the host of her own, for a total of 28 times that year. 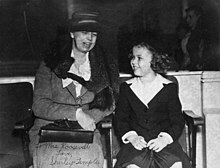 In 1935, Roosevelt continued to host programs aimed at the female audience, including one called "It's A Woman's World." Each time, she donated the money she earned to charity. 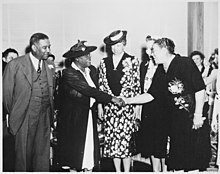 The association of a sponsor with the popular First Lady resulted in increases in sales for that company: when the Selby Shoe Company sponsored a series of Roosevelt's programs, sales increased by 200%. The fact that her programs were sponsored created controversy, with her husband's political enemies expressing skepticism about whether she really did donate her salary to charity; they accused her of "profiteering." But her radio programs proved to be so popular with listeners that the criticisms had little effect. She continued to broadcast throughout the 1930s, sometimes on CBS and sometimes on NBC. In December 1945, President Harry S. Truman appointed Roosevelt as a delegate to the United Nations General Assembly. In April 1946, she became the first chairperson of the preliminary United Nations Commission on Human Rights. Roosevelt remained chairperson when the Commission was established on a permanent basis in January 1947. Along with René Cassin, John Peters Humphrey and others, she played an instrumental role in drafting the Universal Declaration of Human Rights (UDHR). Eleanor lived in a stone cottage at Val-Kill, which was two miles east of the Springwood Estate. The cottage had been her home after the death of her husband and was the only residence she had ever personally owned. 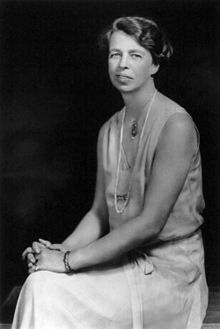 In 1977, the home was formally designated by an act of Congress as the Eleanor Roosevelt National Historic Site, "to commemorate for the education, inspiration, and benefit of present and future generations the life and work of an outstanding woman in American history." In 1998, Save America's Treasures (SAT) announced Val-Kill cottage as a new official project. 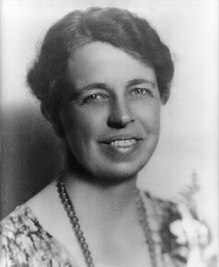 SAT's involvement led to the Honoring Eleanor Roosevelt (HER) project, initially run by private volunteers and now a part of SAT. 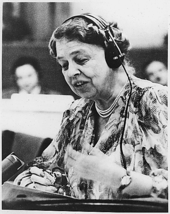 The HER project has since raised almost $1 million, which has gone toward restoration and development efforts at Val-Kill and the production of Eleanor Roosevelt: Close to Home, a documentary about Roosevelt at Val-Kill. Due in part to the success of these programs, Val-Kill was given a $75,000 grant and named one of 12 sites showcased in Restore America: A Salute to Preservation, a partnership between SAT, the National Trust and HGTV. The Roosevelt Study Center, a research institute, conference center, and library on twentieth-century American history located in the twelfth-century Abbey of Middelburg, the Netherlands, opened in 1986. It is named after Eleanor Roosevelt, Theodore Roosevelt, and Franklin Roosevelt, all of whose ancestors emigrated from Zeeland, the Netherlands, to the United States in the seventeenth century. ^ Rupp, Leila J. (1980). "'Imagine My Surprise': Women's Relationships in Historical Perspective". Frontiers: A Journal of Women Studies. 5 (3): 61–70. doi: 10.2307/3346519. JSTOR 3346519. Glendon, M. A. (2000). "John P. Humphrey and the Drafting of the Universal Declaration of Human Rights". Journal of the History of International Law. 2 (2): 250–260. doi: 10.1163/15718050020956858. Lachman, Seymour P. (January 1, 1965). "The Cardinal, the Congressmen, and the First Lady". Journal of Church and State. 7 (1): 35–66. doi: 10.1093/jcs/7.1.35. Pfeffer, Paula F. (September 1996). 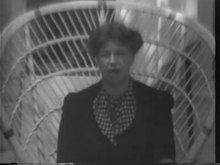 "Eleanor Roosevelt and the National and World Women's Parties". Historian. 59 (1): 39–58. doi: 10.1111/j.1540-6563.1996.tb00983.x.